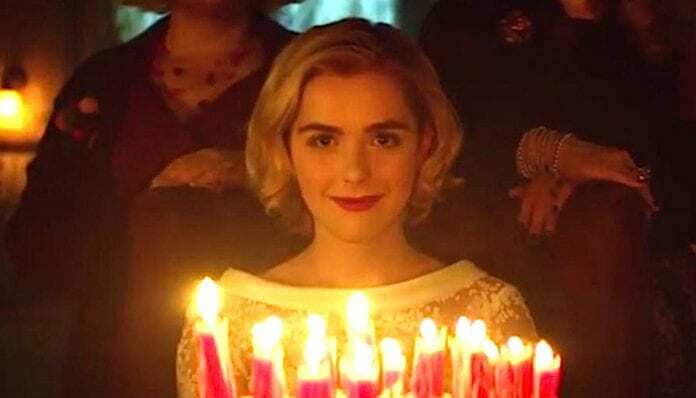 ‘Chilling Adventures Of Sabrina’ is facing some serious legal action. After threatening legal action toward Netflix and Waner Bros. Entertainment last week, the Satanic Temple has officially filed suit in response to the show Chilling Adventures of Sabrina supposedly appropriating and stealing the design of their Baphomet statue. The Satanic Temple is suing Netflix for $50 million under copyright infringement. In October, the Satanic Temple threatened legal action over their statue being featured in Chilling Adventures Of Sabrina. According to Deadline, the Satanic Temple’s lawyer Bruce Lederman sent an official complaint this morning, Nov 8. You can read the full document here. Last week, co-founder and spokesperson for the temple, Lucien Greaves, took to Twitter to share that they are suing over the copyrighted monument. “Yes, we are taking legal action regarding #TheChillingAdventuresofSabrina appropriating our copyrighted monument design to promote their asinine Satanic Panic fiction,” Greaves says. The spokesperson went on to compare their experience to other religions. To compare the Sabrina statue to the real thing, check out the tweet below. Additionally, Netflix refuted the Satanic temple’s claims last week. What do you think of the lawsuit between the Satanic Temple and Chilling Adventures Of Sabina? Sound off in the comments below.